The audacity of Christine Lagarde, who insulted the Greeks by categorizing the whole nation as tax cheats, is up there with Trump calling all Mexicans drug dealers. Lagarde said the problem was “all these people in Greece who are trying to escape tax”. This is up there with some of the most racist statements about Jews, blacks, Asians, Russians, or other groups. Well make a statement like that and someone digs. The old saying someone who lives in a glass house should never throw stones. Madam Lagarde, the French elitist who agrees with hunting down people for money and robbing them for the benefit of those in government, admitted that her $467,940 annual salary and $83,760 of additional allowances is entirely tax-free, as the IMF is an international organization. For you see, those in government always find ways to exempt themselves from taxes. That helps when they have to raise money so they never feel the sting of their own demands. If you work at the IMF, there are special exceptions as an international organization. You see, how can they hire people from different countries if they are taxed based upon the tax rate of their home country? Gee – now that would not be fair since one person would not take home the same amount of money as another. The solution – freedom from taxation. The IMF pays salaries net of tax to ensure equal pay for equal work, regardless of nationality. Under this theory, I suppose we should have the same tax-free status since we have staff from Asia to the Middle East. 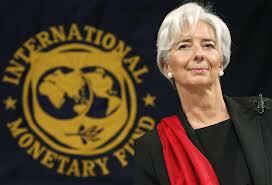 Madam Lagarde pays all other taxes levied on her, including local and property taxes in the U.S. and France.